“Self portraits are unusually very beautiful almost all the time and I always wondered why this was. Is that really how we see ourselves or is it another’s perception of how we look? I wanted to look deep inside and really take a look at how I saw myself. I wanted to first make a connection with myself before making a connection with the society. That is why I think inner sounds and emotions are very important. That is the ideology and inspiration of this exhibition,” explained Manoranjana Herath. 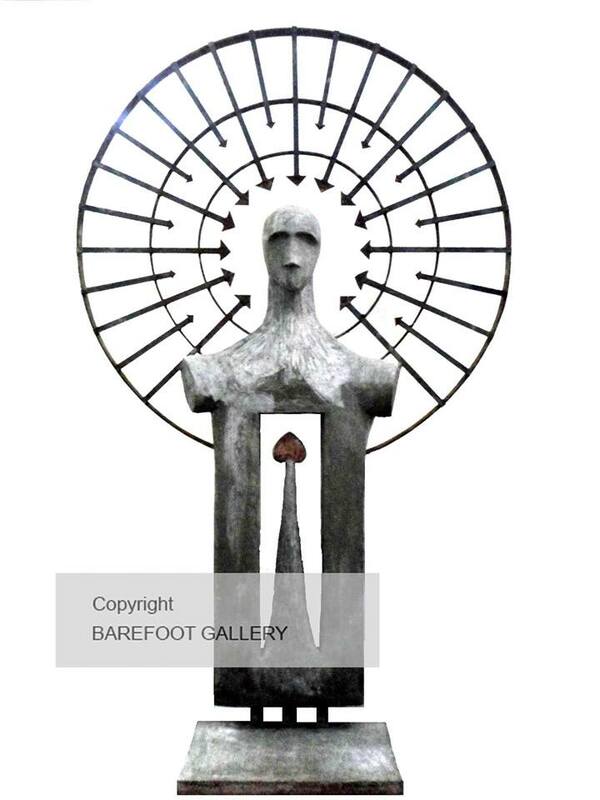 His most recent and 18th solo exhibition was held at the Barefoot Gallery earlier this year. The exhibition included 20 paintings and 15 sculptures. Herath’s self portraits say so much with little. A hundred faces within a single face. Constrictions within constrictions. This is a day to day matter. He explained that he has the habit of adding other mediums to his paintings as well as actual photographs of himself from the age of 12 to make it seem more appealing. I find that this way, he reaches out a step further than usual and viewers would be able to connect deeper. He says the fact that his portraits are dark and grey and also because people are not honest and trustworthy any longer. There is a lot of dishonesty, distrust and falsehood in the world, and so there are deep shadows in his work to depict this. Herath began his work on this exhibition as a project. He admits that he often draws sketches of his sculptures so that he has a rough idea as to how he wants it to turn out. “I have a visual image of it in my mind and ocassionally it does come out the way I want it too. But sometimes, when I look at a finished sculpture I have different thoughts running in my head and then I change the look of it,” he said. To him, art is a form of expression. 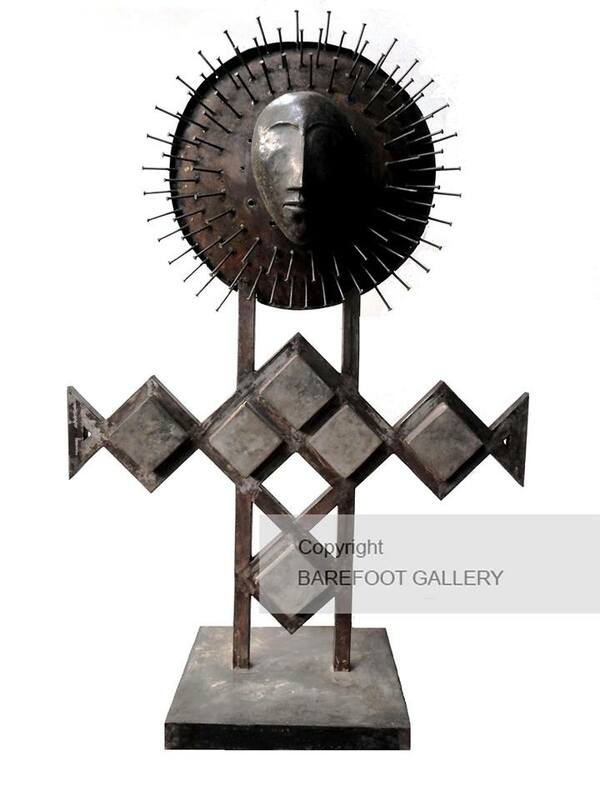 It was his creative inclination during his early adulthood years that steered him towards the art stream and led him to becoming a senior lecturer of the Department of Sculpture at the University of Visual and Performing Arts in Colombo today. 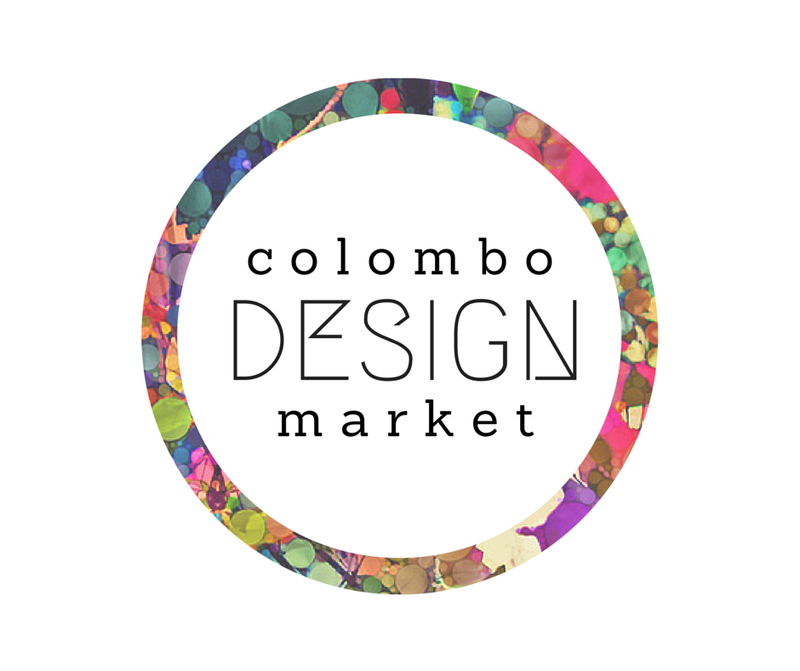 The Colombo Design Market isn’t really Christmas related but I am sure a lot of locals will be doing a lot of their shopping on this day. This is a one day event and will be held at at the Laksala Museum on 14 Sunday from 11.am. onwards. This is a curated design market for homegrown designers, artists, craftsman, musicians and creatives to collaborate, create, showcase and sell their work. If you’d like to know more about all the participants, check out their Facebook events page! 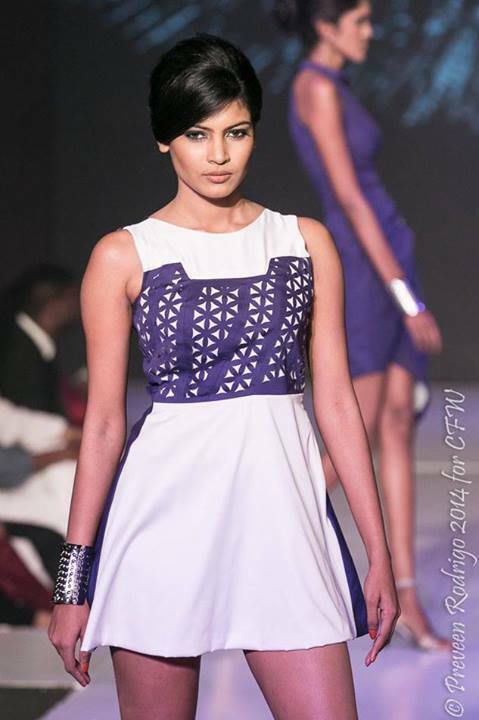 I have to admit, this year’s Colombo Fashion Week did introduce some very talented new designers. Yasisurie Kiribandara was one of them. 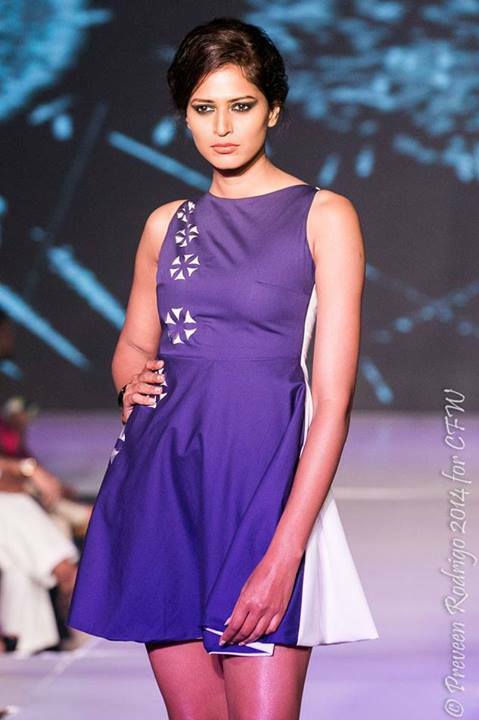 Her collection featured a selection of curve cut and shapes dresses, and was inspired by the creative force of God who is the greatest creator. Her uses include sacred geometrical symbols; pure cotton with a satin finish allows her designs to be modern yet effortless. 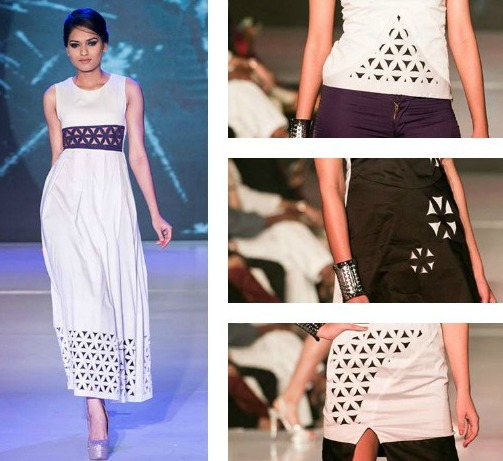 These motifs have been created with the use of laser cut technology and it gives it that added edge and chicness. She started her business a few years ago and says that starting something on her own was the best decision she’s ever made. As quite the devotional being, Yasisurie has worked many jobs in the past in the fashion industry. Her experiences have taken her to multiple countries, allowed her space to converse with fashion designers, including Ann Taylor and Calvin Klein, and also given her the driving force to come up with creative ideas of her own. 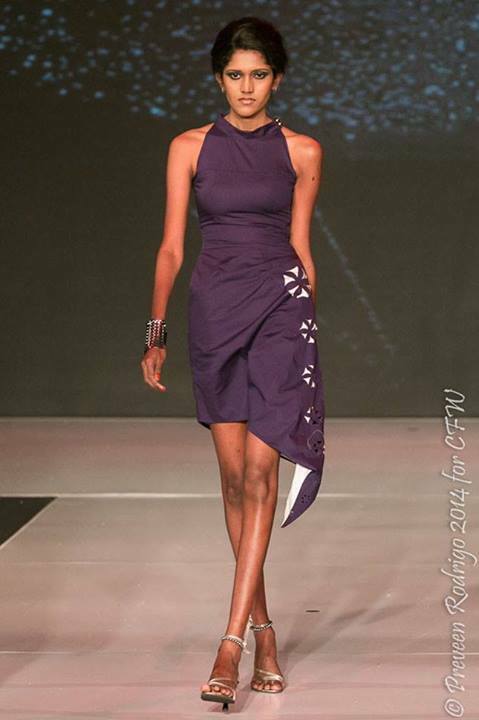 She started her own design company under the name ‘Oneera’ in July 2013. It is a high-end label that caters to the young and fashionable who look for detailed, chic clothing with a modern and global touch. 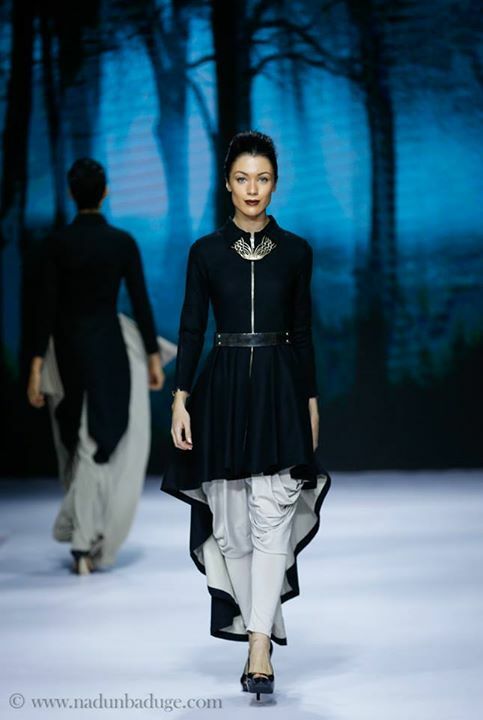 It was her new found freedom and understanding of the greater source of power that gave birth to her collection showcased at Fashion Week earlier this year. She went with geometric symbols and patterns, dimensions that were mathematical and ancient symbols that she admits elevate the consciousness of the person wearing the garment.